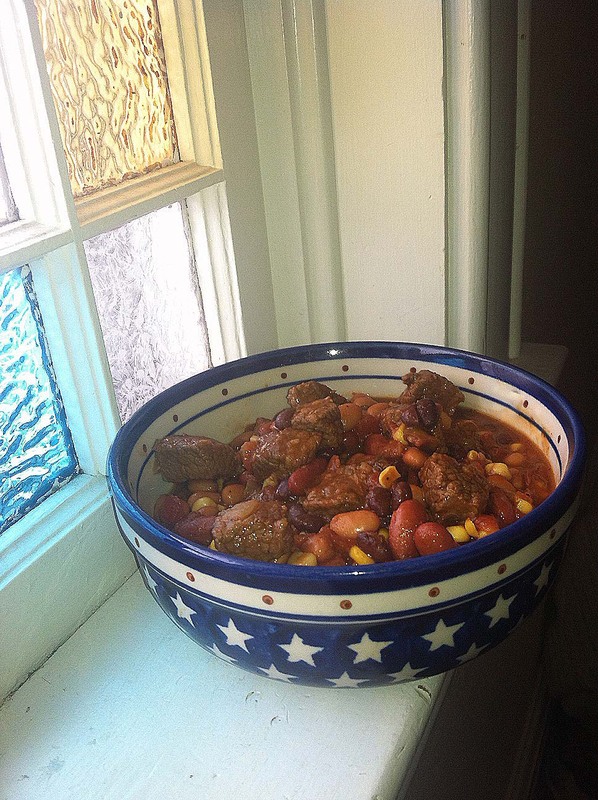 Super Bowl is coming, so today’s posts include a variety of inherited chili recipes, topped off with this inspired recipe, 3-Bean Super Bowl Chili. This new recipe is the result of all of the other chili recipes we’ve loved, and a new-found love for all things extremely hot and spicy. The Tiguas, who are descendants of Indians from New Mexico’s Pueblo tribes, run amazing tribal restaurants in Texas’ oldest town, Ysleta (which means “little island’), which is now a suburb of the border city of El Paso. There they offer Indian, Mexican and Texan tastes on a menu that includes bread baked exactly the way it was 300 years ago, sizzling fajitas and this fiery red chile stew. This chili even lasso’ed my son, ~he claims not to like chicken, but uttered a loud “mmmmm” when he tasted it! This was a typical recipe until Sriracha helped to adjust the recipe, add a bit of heat, and crisp up the wings! Combine marinade ingredients and pour over wings. Marinade in refrigerator 2-3 hours. Bake at 350° F. 45 min., then pace under broiler to crisp and slightly char. Serves 4-6. Palomino Restaurant was a popular locale in Minneapolis in the early 1990s. While the restaurant can still be found in other cities, it closed in Minneapolis. But, before it left, I was sure to secure it’s wing recipe.